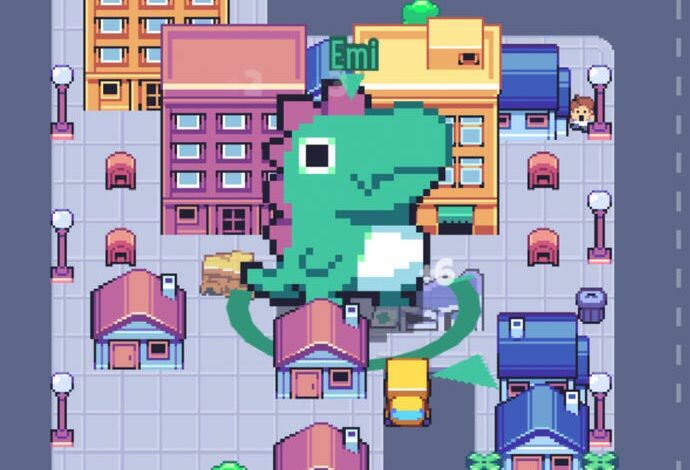 Do you dream about one day discovering the secret to becoming a giant lizard dragon monster thingy commonly known as “Kaiju” and destroying the city you once loved…? No? 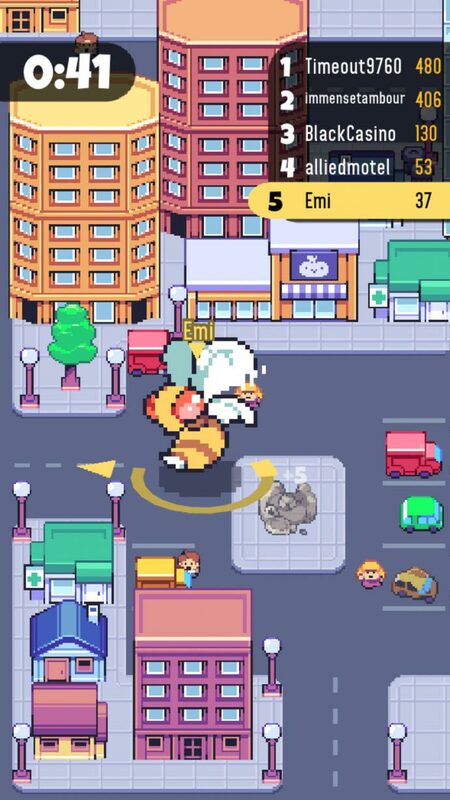 Because today we’ve got a game where you can do just that from the convenience of your iPhone! You’re welcome! 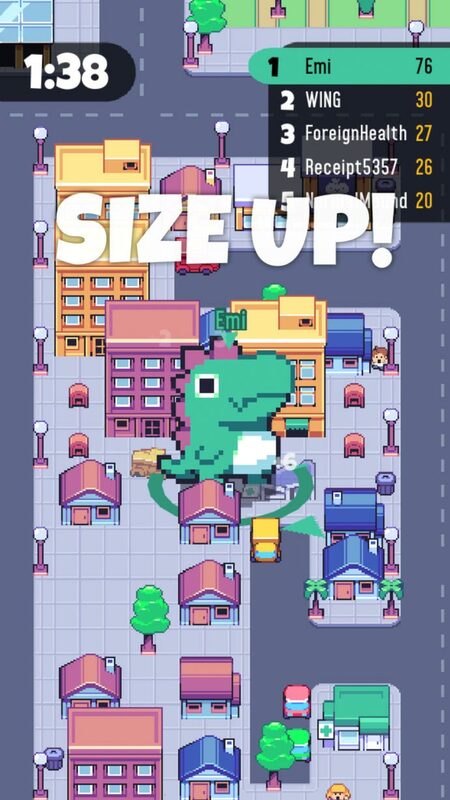 Kaiju.io (by Lucky Kat Studios) is essentially the exact same game as Hole.io (by Voodoo), Big Big Baller (by Lion Studios) and a bunch of other games based on similar concepts. 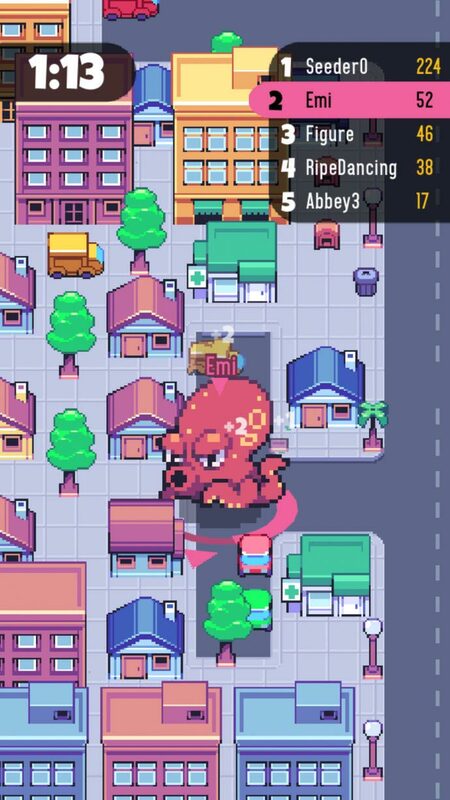 Set in a virtual 2D city which actually makes controlling your player a little tricky when compared with other 3D games, your mission in this game is to destroy as much of an unsuspecting 2D city as possible within 2 minutes. Played by touching and dragging anywhere on the screen of your device in order to control the direction in which your player moves, this game is harder to play than most other 3D games which are based around the same concept simply because you can’t actually see where your arrow is pointing when you are moving in toward the city. In a 3D game or a top-down 2D game, this wouldn’t be a problem, but since this is essentially a 2D game set at a slight angle in order to make it look sort of 3D, it is much easier to get stuck on things in this game than it is to get stuck on things in hole.io for instance. Although 2D graphics do have their downsides, they also have their positives. 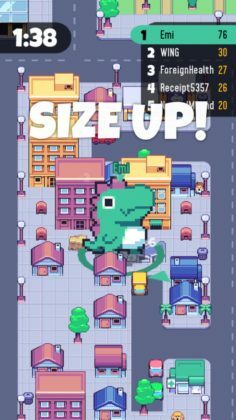 Kaiju.io looks amazing with highly animated pixelated characters, buildings, trees, everything. If you’re a fan of pixel art, you probably won’t mind the slightly difficult controls in exchange for the beautiful visuals you will be getting in this game. 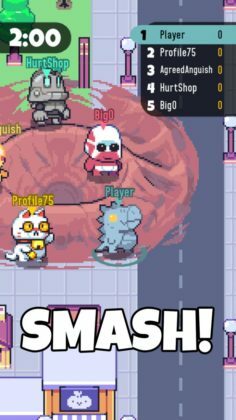 Other than that, Kaiju.io features a bunch of different Kaiju for you to unlock, (at this stage 10 to be precise), and that’s about it. No pro-mode for $8.99 a week or anything else like that, just the basics – and we like it that way! If demolishing cities together with everyone who lives there has always been your dream, you should probably seek help somewhere other than on Edamame Reviews. All we do is talk about video games! 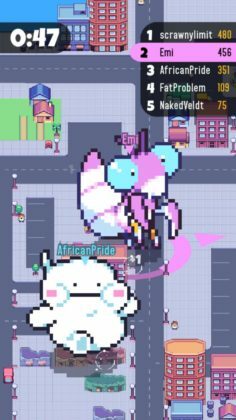 What regions is this game available in? You’re right!? I can’t open the link!? 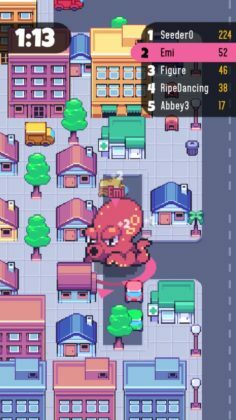 Hmm… We will have to contact the developers to find out what is going on because we can’t get in either. It’s sad the link stopped working… Kaiju.io is a really fun game! I have it! P.S. Did you try just searching for it on the App Store?